If you're cooking up modern, responsive web applications using C# and .NET on the Windows platform, there are three main ingredients to the recipe: (1) the new improved, vitamin-enriched ASP.NET MVC (version 5 as of this writing), (2) Visual Studio 2013 (the latest and the greatest right now), and last but definitely never the least, (3) Twitter Bootstrap (at version 3.x as of the moment). Having been fans of Bootstrap for responsive web application development and having reviewed books on using Bootstrap and on extending it, we're very honoured to review Pieter van der Westhuizen's "Bootstrap for ASP.NET MVC." It's just hot off the press last August 2014, published by Packt, available in paperback and e-book version, and best of all, reasonably priced with code samples. Having designed and developed web applications for over a decade, I once thought jQuery Mobile is the best there is, I even used it in my early professional and hackathon projects. Knowing Bootstrap 3 now, I feel guilty of high treason for those projects that look and feel the same, even when you apply themes on them. When your web design or development project needs a responsive, mobile-first design, Bootstrap 3 fits the bill almost perfectly. Why almost? The usual complaint with Bootstrap is that the web pages created practically look like any other websites made with it. To further boost the competitive edge, after Microsoft outsourced their CEO post to India, closed-door discussions are on the way to purchase Red Hat and finally roll-out the long overdue and much ballyhooed vaporware codenamed Microsoft Linux. Meanwhile at Apple, in a bold move to dispose old Intel-based Macs in preparation for the release of A7-based systems across the board, Steve Wozniak performs cameo role as the delivery boy. We would like to congratulate Packt Publishing for the 2000th book title milestone, and as part of the celebration, they have an offer you shouldn't refuse: buy 1 eBook and get 1 eBook free. With IT topics ranging from desktop, web and mobile development to games, graphics, cloud platform and systems administration. The only hard part imaginable is to pick one eBook title of your choice and struggle finding and selecting from over 1,900 titles more for the free eBook. What are you waiting for? Go to the Packt Publishing website, celebrate and grab their best offer yet. 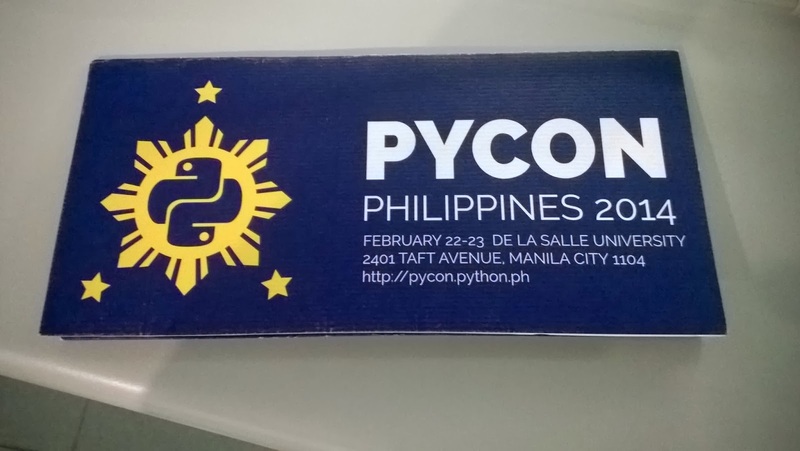 It was only recently I realized how lucky I am to have attended the two-day PyCon Philippines 2014, the Python community conference, at the De La Salle University, Manila. The two-day conference gave me the opportunity to again meet or see some of the IT personalities I respect and highly regard in the industry like Edison Go Tan, Evan Dale Aromin, Zak Elep, and Alvin Edwald Chan and Brian Paul Samson, both were volunteers and organizers of the event. It's also been fortunate of me to have met Jayr Anes, coincidentally also a graduate school student at Polytechnic University of the Philippines. We were again graced by Packt and was given the opportunity to review the second edition of Web Application Development with Yii and PHP by Jeffrey Winesett, which was released November 2012. Wait! What?! That is really 2012 and no typographical error, almost two years from now. You might be shouting expletives if I seem pulling your leg and reviewing a book over a year old. When I double checked with the official Yii Framework website, it turns out that this book is for the Yii Framework version 1.1.12 which is about two versions away from the current version (version 1.1.14 as of this writing). What's so special about this book is that the Yii framework starting with version 1.1 is supported until December 2015. That means you get this book as an investment resource for Yii Framework 1.1.x development, and that means it's relevant now and beyond, make that 3 years after this book is published. 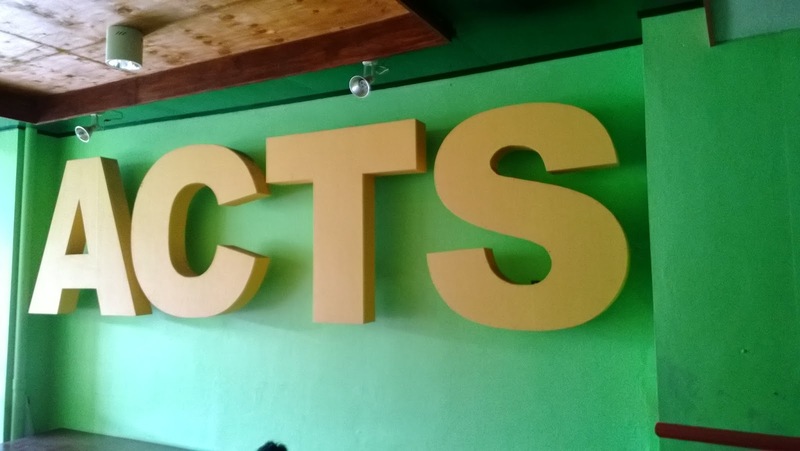 I was fortunate to be asked to participate as seminar resource speaker on network and enterprise security; thus, an adventure in Infanta, Quezon ensued, particularly in ACTS Computer College, owned and managed by Mr. Ernesto Lim who I was fortunate to have met and spoken with after conducting the seminar. Book Review of "Zend Framework 2 Cookbook"
First off, a pop quiz: what does "Lord of the Rings", "Star Wars", "Godfather", "Hitchhiker's Guide to the Galaxy", "Toy Story" and Jason Bourne have in common? If you answered these were examples of a trilogy in cinema or literature in one way or another, you have my congratulations. Speaking of trilogies, this article is my third book review for Packt. We were given the opportunity to review the "Zend Framework 2 Cookbook" by Josephus Callaars, of which we will refer to as ZF2 Cookbook. Highlights of the ZF2 Cookbook include in-depth discussion of and chock-full of code on internationalization, mail handling using PHP, forms, validators and view helpers, in-depth discussion of views and related design patterns, more extensive exploration of databases using PDO (not just MySQL), modules, models and services, authentication, exception handling, dependency injection, performance optimization and bug management; quite a hefty lot for a 340 page cookbook. Add to the mix the previous books I reviewed- the "Mobile First Bootstrap" and "Zend Framework 2 Application Development", get all three and you'll be in web development ecstasy. I was on a quest for front-end development framework that's built on top of jQuery so that it will be portable across various browsers and theoretically resolved the differences and individual quirks of various popular browsers, and the final item after clearing out the list is Bootstrap 3, all the more is that it's designed with mobile platform first so I can finally work with a better front-end tool than jQuery Mobile. What's next once we have Bootstrap 3 on hand? Well, we need a guide, preferably a book to help us go through this new fancy power tool for front-end developers and luckily for us, with the generosity of Packt Publishing, we were again given the opportunity to review another new book, this time it's "Mobile First Bootstrap" by Alexandro Magno that was published before the close of 2013 so this is really hot off the press! In a previous blog, I promised to have a product review of Nokia Lumia 820, so this article is long overdue, but please allow me to justify procrastination, at least for this review. It turns out that there was already a review of Lumia 920 so what's the use of reading about Lumia 820? Well, this is more of account of working with the Lumia 820 developer device loaded with Windows Phone 8 and frankly, doing a review on a very short span of time may not do justice to the device in question. I once tried using the Zend Framework 2 documentation as a guide to PHP5 development but the documentation given the number of framework components is also gargantuan, and having to look through the documentation can be intimidating if not cumbersome, especially for newcomers to PHP5 development. With due credit to Punit Shetty through Facebook, I was floored to have had the opportunity to review the book, or rather the eBook version of "Zend Framework 2 Application Development" by Christopher Valles that was released around the last quarter of 2013. At the outset, the book was intended for newcomers to PHP5 development using Zend Framework 2, arousing the curiosity whether this book would be suitable for newbies while at the same time hopefully valuable also to experienced developers.